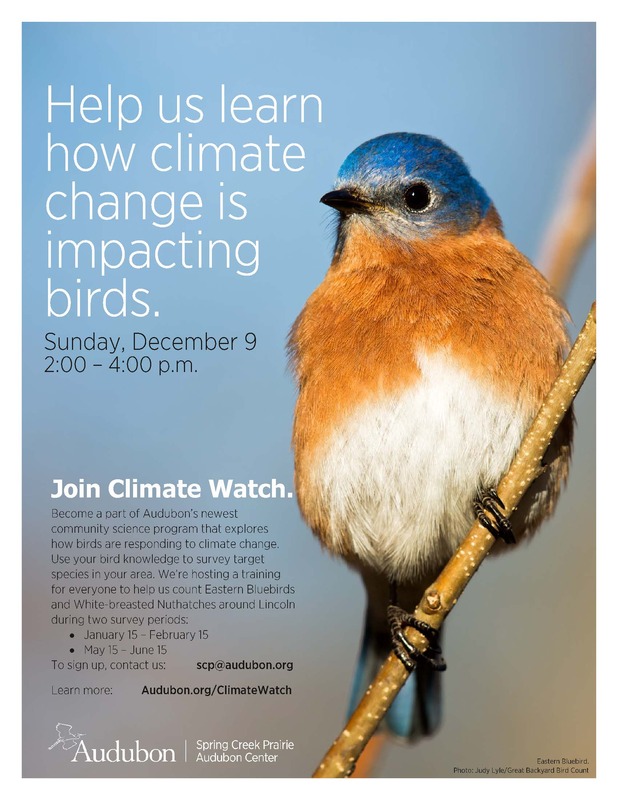 No fee; write scp@audubon.org or call 402-797-2301 for information. Become part of Audubon's newest community science program that explores how birds are responding to climate change. Use your bird knowledge to survey target species in your area. We're hosting a training for everyone to help us count Eastern Bluebirds and White-breasted Nuthatches around Lincoln during two survey periods: January 15-February 15 and May 15-June 15. Training is free. Christmas Bird Count 4 Kids!